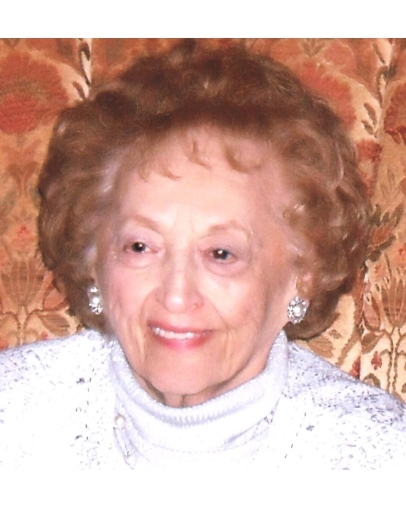 Mrs. Leonora (Pirri) Cirillo, age 96 of Jennifer Drive, Bristol, died Saturday, December 1, 2018 at the Grace Barker Nursing Center, Warren, surrounded by her loving family. She was the wife of the late Augustine J. Cirillo, who preceded her in death in 1970. Born and a lifelong resident of Bristol, she was a daughter of the late Giuseppe and Francesca (Ciccio) Pirri. She was a seamstress at Priscilla Sportswear for many years. She was a communicant of Our Lady of Mount Carmel Church, Bristol, she adored her family and enjoyed spending time with them, especially playing cards. She is survived by daughters, Rose Borgia (David) and Frances Cirillo, grandchildren; Patricia Borgia (Theresa) and Melissa Borgia (William) and great grandchildren; Emilie, Julia and Benjamin. Also survived by her brother-in-law, Antone Rapoza and sister-in-laws, Rose and Angela Pirri and many nieces and nephews. In addition to her husband and parents, she was preceded in death by three sisters, Annie Cavallaro, Antonetta Oliveira and Pauline Rapoza and three brothers, Angelo, Pasquale and Frank “Butch” Pirri. Funeral services from the Sansone Funeral Home, 192 Wood Street, Bristol, Friday, December 7, 2018 at 9:30 AM with a Mass of Christian Burial at 10:30 AM in Our Lady of Mount Carmel Church, 141 State Street, Bristol. Burial will follow in St. Mary’s Cemetery, Chestnut Street, Bristol. Visiting hours, Thursday, December 6, 2018 from 4:00-7:00 PM.